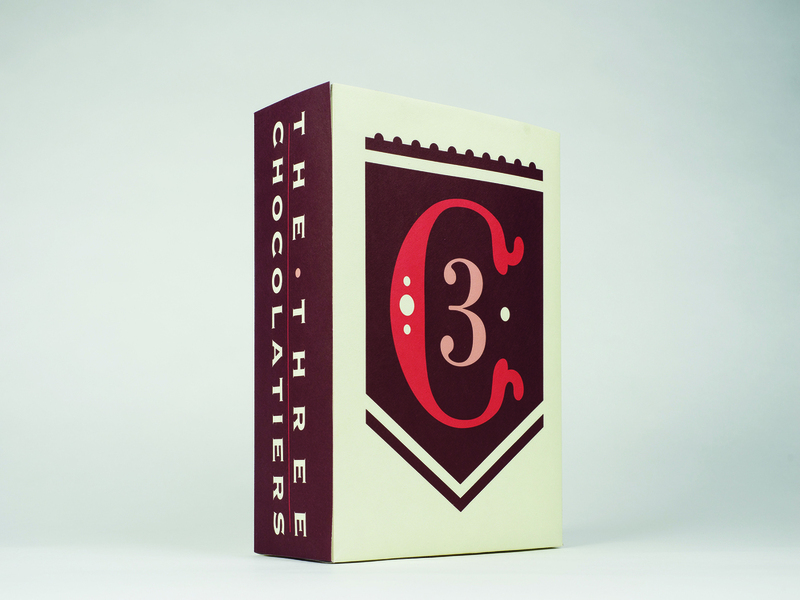 The Three Chocolatiers is a fictional sophisticated chocolate company. 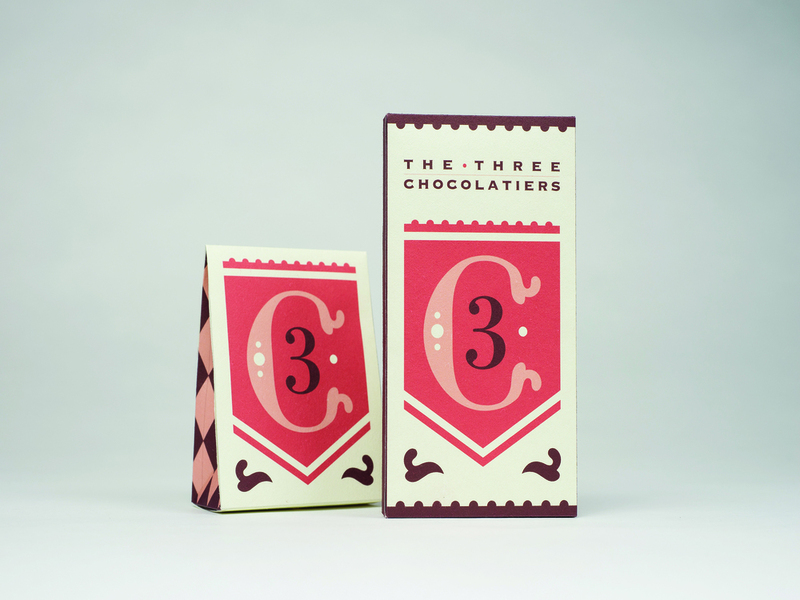 It is influenced by French heraldry as well as playing off the classic novel, The Three Musketeers; the logo recalls heraldic flags while the design includes bold harlequin patterns. 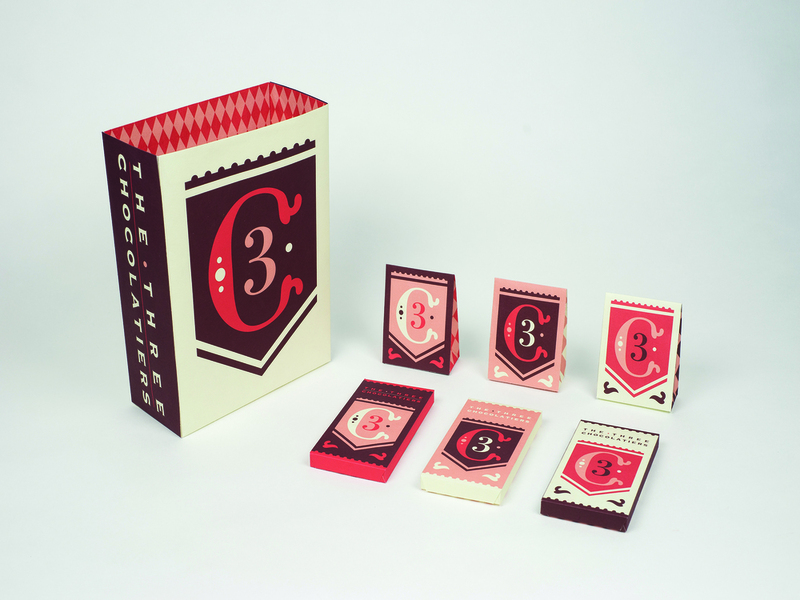 It includes separate packaging for truffles and chocolate bars, and a bag.